I took down my inspiration board because it got too depressing. Greed is not Good. But Envy Is. The new law of evolution in corporate America seems to be survival of the unfittest. Well, in my book you either do it right or you get eliminated. In the last seven deals that I’ve been involved with, there were 2.5 million stockholders who have made a pretax profit of 12 billion dollars. Thank you. I am not a destroyer of companies. I am a liberator of them! The point is, ladies and gentleman, that greed, for lack of a better word, is good. Greed is right, greed works. Greed clarifies, cuts through, and captures the essence of the evolutionary spirit. Greed, in all of its forms; greed for life, for money, for love, knowledge has marked the upward surge of mankind. And greed, you mark my words, will […] save […] the malfunctioning corporation called the USA. Thank you very much. Gordon Gekko. Gordon Gekko got it wrong. Greed isn’t good. Because greed is never satisfied. Greed creates an endless void that motivates poor decisions, causes the destruction of critical partnerships and inflames one’s sense of inadequacy. But, Envy. That’s different. Envy is good. And now there’s science to prove it. If you want to learn how to leverage this “deadly sin”, you first have to understand the difference between good envy (benign) and bad envy (malicious). A simple example is as follows: you feel malicious envy towards a colleague who gains undeserved success. This type of envy makes you want to knock them down a peg or two … or ten. You feel benign envy, however, when you feel that your colleague’s success is very well deserved. And their success, in turn, makes you want to work hard to achieve the same success. Simply put, benign envy inspires you to pull yourself up, while malicious envy narrows your efforts on how to pull the other person down. This distinction is critical because focusing on bringing someone down does nothing to get you ahead. Malicious envy is like a frustrating game of whack-a-mole. Someone better will always pop out while you just waste your time losing tokens, your drive to succeed and, ultimately, the prize. As soon as you start plotting someone’s downfall, stop. And remember: your personal success is much better revenge. The person you envy doesn’t care about how you feel and is likely getting ahead of you because they’re working and developing a better toolbox of talent, relationships and skills. To compete, then, it’s best that you focus on sharpening your skills and business model and not dulling those of who you envy. Warning: avoid admiration like the plague. Believe it or not, admiration can be just as dangerous as becoming a sloth. Philosopher Kierkegaard believed that admiring someone is like admitting defeat. Your admiration implies that you’re not good enough because you’ll never be able to reach that standard yourself. So, you give up, turn on Netflix and burry feelings of inadequacy under the “false gods” you’ve created out of reality TV stars. It sounds pretty ridiculous. Except science says it isn’t. 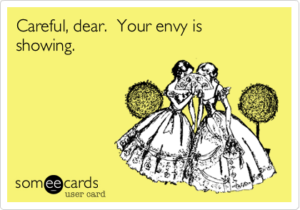 A group of PhDs and Professors from Tilburg University (The Netherlands) published a paper, Why Envy Outperforms Admiration, that supports Kierkegaard’s seemingly antisocial conclusion. The logic is as follows: the pain we experience when feeling envious is so terrible that we’ll do just about anything to avoid it. The fastest and easiest way to avoid this pain is to convert our envy into “admiration”. We’ve distance ourselves from feelings of defeat and inadequacy by shining the spotlight on the other person. Such distancing, however, pushes us into sloth territory because it demotivates us. We say to ourselves “well, they’re better and I’ll never get there, so I’ll sit here and admire them and give up on going for it”. The critical component to your success, then, is learning how to veer away from admiration and straight towards envy. How? Simple. As soon as you start slipping into the black hole called admiration, remind yourself of the following: admiration makes you feel kinda good, but benign envy makes you feel really good. In his book, The Science of Sin: The Psychology of the Seven Deadlies (and Why They Are So Good For You), Simon Latham affirms that envy is good because it gives us hope. And hope, in turn, makes us feel better. Envy motivates us to improve and strive for more because it makes us change our expectations about what is possible for us to achieve. Through numerous examples, Simon shows how a healthy mix of self esteem and good envy can motivate and fuel our belief in ourselves. Good envy, Simon says, inspires you to carefully watch the target of your envy. This careful observation effectively pulls back the curtain on your target. You discover that her process and work is what made her a success and not some innate talent you fundamentally lack. You now see that you’re capable of achieving the same and you’re more likely to hit your mark because you have clarity as to how to “get there”. How do I leverage envy to motivate and plot my success? Ask how the “target” of your envy achieved his success. What got him there? Is it education? Work habits? Business model? Connections? Next, dig deep on the HOW. If you choose connections, for example, repeatedly ask yourself “HOW” he got those connections until it’s broken down into something that you can achieve to get the ball rolling e.g. join group X. Next, look at what you’re doing and ask yourself what stopped you from being the one on top. How come you’re not at that level? Think about this independently from how your target achieved his success. For example, is it low self-esteem? Fear? Finally create a plan that incorporates the answers in questions 2 and 3. Be creative when mapping out your plan on how to propel yourself forward and into the realm of your target. There are no bad approaches – unless it’s illegal or hurts someone, of course. Just like fats – small doses of envy can actually be good for you…so long as you can distinguish the good from the bad and simply don’t over-do it. What do Oprah, Jobs and Disney have in common besides being filthy rich? They got fired. Passed up for the promotion? Don’t seem to be getting ahead? Got fired? This will help you deal with disappointment. Have you been through this? You’ve sacrificed time with your family, weekends and evenings to be a stellar performer. Yet, you’ve been passed up (again) for a promotion while your slacker coworker seems to be skyrocketing up the corporate ladder. How about this? You’re called in for a routine meeting only to learn that you’re being let go due to changes in the corporate structure, culture or management. It couldn’t happen at a worse time – you have two small children and a mortgage. And this? The client you’ve been banking on decides to pull out of the deal, leaving you with the no choice but to rack up credit card debt to pay your staff. Or this? Your significant other needs “to talk” about “us”…. and he’s not a “talker”…. All of these scenarios have one common theme: the gut-wrenching wave that starts slow and then hits you hard. In other words, the nauseating feeling of disappointment. If you haven’t experienced this before you’re either lying or you’re seriously living below your potential. And if you have, then you’re on your way to living a better life and, perhaps, millions. At least that’s what the most successful people claim. Here’s a secret that I thought was blatantly obvious: I’ve experienced endless moments of disappointment in almost every facet of my life. From dinners I’ve slaved over that ended up tasteless and over-spiced to huge clients breaking their contracts (or stringing me along) to television shows never making it past the idea phase and partners walking away when I needed them most. Oh yeah, and there was that time in high school when I was fired because I refused to sell people “junk” shoes. Despite disappointment being a major theme in my life, I’ve never talked about it. Perhaps because it’s embarrassing and because it seems to happen to no one else but me! Or so I thought. As it turns out, the reason why we don’t talk about disappointment is because no one wants to post a picture of themselves eating a failed dinner, getting a divorce or emptying their cubicle. Our secrecy around disappointment is, well, disappointing because it limits our ability to maximize on this experience. I don’t mean to trivialize facing a setback. In fact, each of my big disappointments did temporarily force me into the fetal position. However, the lessons I’ve learned were unforgettable and critical to me living, doing and acting better. And, as Google tells me, it turns out that the “greats” would all agree. I’d like to save you the time and pain of trying various solutions to overcoming disappointment (read: whiskey is not a solution). After years of developing rebound systems and endless hours of research, I’ve finally compiled the most critical steps to pulling a Steve Jobs – coming back stronger and better – after falling flat on your face. The FOUR critical lessons from those who’ve made it “big”, despite huge set backs. Yes, you’ve just been unjustly let go or you didn’t get the promotion. But, don’t throw the stapler. Do you really want to have enemies? The answer is no. In fact, it’s critical to gather your supporters at this juncture and ignore the people who want to see you fall further down. It’s your supporters who will help you figure out the next step, tell you what’s really going on behind closed doors and may even introduce you to your new career. What is more, if you act out now, that’s how they’ll remember you; not as a levelheaded and brilliant individual, but a crazy person who can’t be trusted when things get difficult. For example, I have one friend who drank far too much and decided to “drunk dial” a couple of co-workers during the middle of the day. He was brilliant and had a fabulous reputation in the legal industry. Now, no one will hire him because he’s a “loose cannon”. So, sit back and reflect. Don’t pass judgment until you have information on what’s going on. I endorse some “why me? !” time. Deal with the pain because, if you don’t, it’ll come up later and your anger will feed upon itself and taint all aspects of your life. It’s been my experience that bitterness and disappointment seems to breed more bitterness and disappointment. This then breaths life into Murphy’s Law and kicks off a series of unfortunate events. Avoid this outcome by giving yourself a week to beat up your pillow, eat pizza, drink wine and binge on Netflix. Then move on to step number three. The biggest regrets of not only famous people, but everyone, is not quitting earlier, not having the guts to start their own business, taking jobs for money, rather than opportunity, and living a life that was not authentic to who they are. Given the fact that what you do with your life will be the source of whether or not you lived a life of regret, reframe this setback as an opportunity to create the life you want. Whenever I have a setback I think: this is awesome – I get to rebuild my life the way I want it to be!? How often do I get to try a new career or do something different? Reframing the loss into opportunity will spur creativity and help you through the final step. We’ve all tied our identity far to tightly with who we are. Our self esteem and value is based on titles and how much we earn – this is especially true of the Millennials and just about anyone raised pursuant to theNorth American values. Our unhealthy belief that what we do is a reflection of our moral and social value explains why facing a setback feels so personal and makes us feel so lost. I felt this sense of “falling into the abyss” after law school. I learned quickly that I’d never practice law and felt exceptionally depressed and anxious. How else will the world know I can read and I’m not that dumb if I’m not a lawyer!? The solution: first, root your identity in what you like to do and not your job title. Then, test out what you think you like to do by volunteering or talking with those who are in the field. For example, I enjoy leading and finding creative solutions when everyone else is approaching it with a traditional lens. So, I launched a company that did just that. Famous actors and entrepreneurs saw that they enjoyed creating, so that’s what the perused with vigor and with satisfaction. Their only regret (and mine)? They didn’t do it sooner! I’ve always found it comforting that I’m not alone when facing disappointments and setbacks. For a motivational boost, just peruse through what the best of the best have faced…one of who was told he was “too stupid to learn anything”. Walt Disney’s newspaper editor told the aspiring cartoonist he wasn’t creative enough. Mayor Michael Bloomberg used his severance check to start his own company. Now he’s one of the richest people in the country. Anna Wintour made waves for her innovative shoots, but editor Tony Mazalla thought they were a little too edgy. She got canned after a mere 9 months. Jerry Seinfeld didn’t know he was fired until he showed up for a read-through and his part was missing from the script. Sallie Krawcheck, often called one of Wall Street’s “most powerful women,” was fired from Bank of America in 2011. Tim Ferris, known for his best selling book “The 4 Hour Workweek” was turned down by 25 publishers before it was finally picked up. Tim’s book went on to sell millions of copies making him a force to be reckoned with in the Entrepreneurship landscape. Soichiro Honda’s unique vision got him ostracized by the Japanese business community. Honda was a mechanical genius who idolized Edison and rebelled against the norm. His passion for aggressive individualism was more fit for the United States, and he found himself alienated him from Japanese businessmen, who valued teamwork above all else. Honda then boldly challenged the American automotive industry in the 1970s and led a Japanese automotive revolution. Thomas Edison’s teachers told him he was “too stupid to learn anything.” After that, things stayed bleak for a while, as Edison went onto be fired from his first two jobs, for not being suitably productive. Edison went on to hold more than 1,000 patents and invented some world-changing devices, like the phonograph, practical electrical lamp, and a movie camera. If the steps, above, seem like too much then just read these failures and success stories for a little boost. Clearly, you’re not on your own as you strive to push through disappointment and setbacks. In fact, as the stories of our heroes demonstrate, it’s just a necessary part of the road to success. The TEC is a promise made to a lender or a potential buyer. The lender or buyer want these promises because they support whatever the landlord claims to be true about its leases, rent and so on. 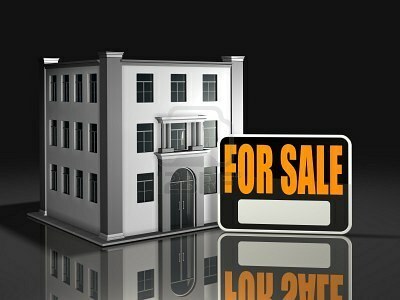 Clearly, the TEC is imperative to the due diligence process of the sale or refinancing of a property. After all, if you’re going to spend significant amounts of money, you’ll want the security that it won’t be hit with financially devastating surprises. Finally, delete any language that deems the draft submitted approved or appoints an agent to sign the document should the tenant not reply in a timely manner. As mentioned, above, if the tenant misses the opportunity to review the document this may hold her to unfair or untrue terms. Be sure that the TEC reflects any special terms negotiated between the landlord and tenant. For example, does the TEC include the tenant’s option to renew, expand or terminate early, as well as any tenant improvement rights, self-help remedies and audit rights? Confirm that the TEC doesn’t negate any of these rights. The game of luck and why every parent, teacher and person should know the rules. I’m disappointed in myself. It’s recently come to my attention that people believe that I naturally love getting up at 4:45 am in the morning, exercising and writing. And that I have a lot of “luck”, that I always hit my goals and that I have an innate level of intelligence. The truth is: I don’t. 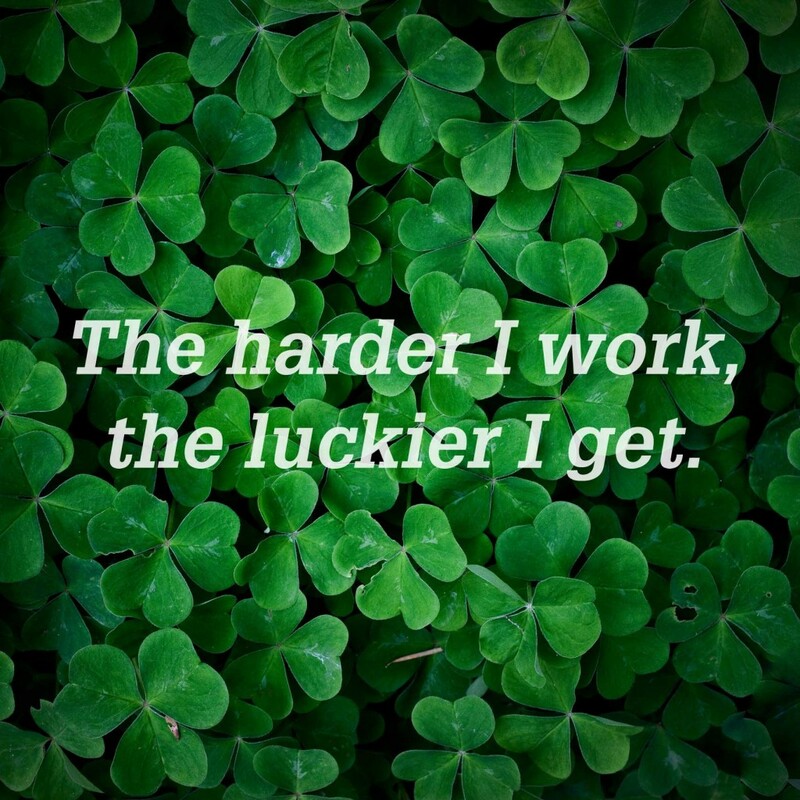 The reason why I’m disappointed is because this perpetuates the “luck” myth: some people are lucky and if you’re not one of the lucky, then give up. Or don’t start. This myth discourages us from believing in ourselves, seeing our own value and, consequentially, suffering from low self-esteem, low motivation and a anaemic sense of responsibility for one’s successes and failures. I’ll admit, luck does have a lot to do with how things unfold in our lives (bet you didn’t expect that one! ), but not how you think. Luck is a game, not a given. And once you’re able to understand the rules of “luck”, then you’ll be able to rig the game in your favour. A quick story on how luck benefited me will elucidate the rules of luck. I had no idea that my sister didn’t have to work hard to get good grades. I thought everyone had to study at least 6 hours a day… in grade four. Why is this lucky? Because, as it turns out, if people believe that you are smart, driven and successful, they unknowingly help you become these beliefs. In other words, everyone rigs the game in your favour and then they tell you and everyone around you that you were “predestined”. I told my parents about my “lucky hunch” and they (read: dad) laughed and told me that everything is innate and that we have no control over the outcomes of our lives….Guess what, (dad), they were wrong. Because this hunch is a real heuristic called the Pygmalion effect, or Rosenthal effect. Parents and anyone who manages people – pay attention to this effect – it could make or break your child or employees. Thirty years ago, the brilliant leaders of the Israel Defense Forces were tricked by a psychologist named Dov Eden. Dr. Eden told the IDF that he could predict who’d become the top performers before they ever started training. He poured over the assessment results of the IDF applicants. From this information alone, he identified who of the group would emerge as “stars” during the training period and, sure enough, and much to the amazement of the IDF, he was bang on. The identified “stars” scored 9 to 10 percent higher than their peers in almost all categories during the training period. Was Dr. Eden a clairvoyant? Did he have a secret sauce? No. He simply drew upon a classic study conducted by the Harvard psychologist Robert Rosenthal. A study that may have ruined a bunch of children’s lives…. All students in a single California elementary school were given a disguised IQ test at the beginning of the study. These scores were not disclosed to teachers. Teachers were told that some of their students (about 20% of the school chosen at random) could be expected to be “intellectual bloomers” that year, doing better than expected in comparison to their classmates. The bloomers’ names were made known to the teachers. At the end of the study, all students were again tested with the same IQ-test used at the beginning of the study. All six grades in both experimental and control groups showed a mean gain in IQ from before the test to after the test. However, First and Second Graders showed statistically significant gains favoring the experimental group of “intellectual bloomers”. This led to the conclusion that teacher expectations, particularly for the youngest children, can influence student achievement. Challenge your views about yourself. Remember that your abilities to a large degree are not innate, but rather a product of circumstance and the viewpoints of other people. This means that you should ignore that grade one teacher or the harsh parent who defined you as uncreative, lazy, stupid or a “failure” and strive (if you want). Aggressive analyze the origins of these definitions and understand that they’re nothing more than opinions unlikely based on fact….as Rosenthal pointed out. Get cheerleaders: These people are critical. If they think you’re great, then they’ll help you along by opening up doors and giving you the introductions you need to move forward. Getting cheerleaders is simple. Just show a willingness to learn, work and take criticism. Follow these two steps and remain persistent and watch how your luck suddenly changes. Real estate investing is not easy. I know because I’m trying to do it and because my clients (real estate agents and investors) tell me horror stories. 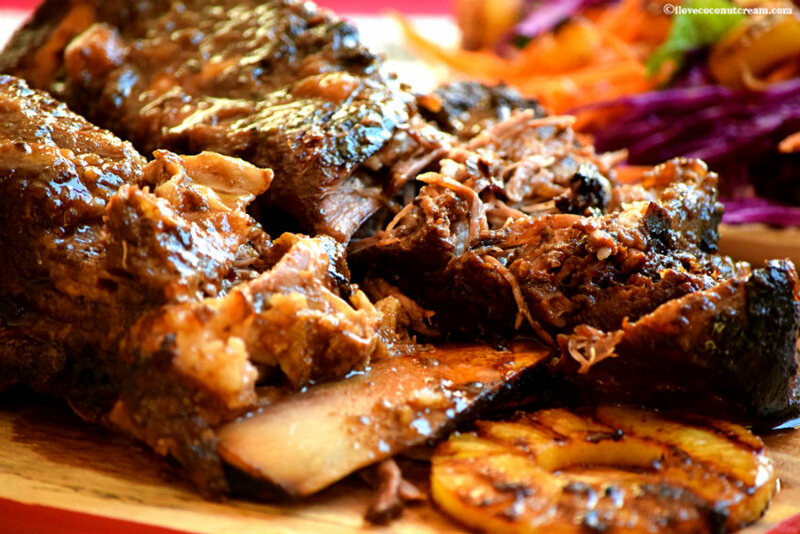 My experience searching for my “first” makes it obvious to me that investing in real estate is like starting your own business, earning a black belt or sticking to the salad when those fall off the bones short-ribs look AMAZING. It takes discipline. It’s also becoming obvious that I have three particularly bad habits which are common, but surprising, among many first timers. These habits need to be kicked. Because if they’re not, then it’s very likely that I’ll (and anyone that share these) will fail. It only took her 1 month to drop 50 pounds, why can’t I just lose 5? it puts you in a mindset of “I’m not good enough and I can’t do that, so why bother?”. All of this obsessing is draining and it will lead you nowhere, guaranteed. This is because your energy won’t be focused on what you should be doing. And that’s…. Networking and finding the veterans in your field who can provide you with everything from war stories, to investing models and, yes, shortcuts. After all, it’s always better to learn from someone else’s mistakes, rather than your own. If you’re motivated by competition, use your role models as people who you want to compete against – just don’t be envious or jealous. It always shows and it will hurt the relationship. I’m keeping my goals a secret – someone will steal them! When starting Groundworks, my mission was simple – to improve the way the law was practised and delivered – but, how I got there changed several times. If it didn’t share my idea and work on concept, I would have failed. I spoke with countless real estate agents, lawyers and CEOs of everything from fitness clubs to investment companies and food chain supply managers with the goal of refining, re-evaluating and revising the delivery model in order to produce a better end result. And during this entire idea sharing process – not one person stole my idea. Everyone’s busy with their own goals. Or binging on Netflix. I am very risk adverse. So much that I worked FOUR jobs in undergrad to avoid taking on any debt. It gets better: I mull over ideas for so long that I typically forget what it was that I was originally mulling over! My risk adverseness has also caused me to miss many great opportunities and, most importantly, delay what I really wanted do in life. I know plenty of people who believe that you should only make a decision once you are ready and only after you’ve assembled and reassembled all possible information. I also know that these people have done very little. This is because you’ll never have all of the information. And you’ll never be ready. Just ask anyone who’s had a kid or quit her job to start up something new (and successful, of course). Were they 100% certain and ready? Doubt it. Of course, mulling through the details is important, but don’t place the majority of your focus on the need to analyse at the expense of the need to act. This is because inertia will set in … after all, an object at rest stays at rest. Especially if that object feels nervous moving. If you need a motivator think of this: it’s very unlikely that you’re making an analytical decision. Too many brilliant people have proven that even with all of the information we need, we still base our decisions on “gut” and we still make mistakes. We’re just really bad at predicting outcomes, not to mention what makes us happy. So don’t try. My quick solution: when getting nervous or over analytical, remind yourself that only action gives you experience and it’s only experience that will encourage you to move. And, yes, it’s only moving that will get you closer to your goals. And it’s only the achievement of those goals that are tweetable and instagram-worthy (haha). Doing anything new is daunting. But, as many people agree on their deathbeds – it’s much better living a life of “oh wells” than a life of “what ifs”. And I’ll take the wisdom of those reflecting on life over those who are just moving through it. Dealing with Rejection and Other Unpleasantries of Being an Entrepreneur, Lawyers, Sales Agent…and a Human Being! I was having lunch the other day when a friend said to me “how do you deal with getting rejected SO often?” While this does make me sound like a reject, which is partially true, his comments followed me talking about how many doors I’ve knocked on (translation: cold calls) and how many “go aways” I received before I realized a better way to pitch my idea and grow my company. Read on for some hard-earned advice. Why do we still cold call when nobody likes doing it and nobody likes getting them? A short story to start. Part of my entrepreneurial life included me helping two founders build their private equity firm. I immediately noticed why these founders were not accelerating. They were great at numbers, but not great at selling. That’s putting it nicely. The founders came from the world of 5-martini lunches, cute assistants and expensive suits to show power…. and not from the world of equal-pay, caller-ID and “Google is a verb”. Despite me showing them the stats on cold calling (that cold calls are more likely to cause you and the prospect indigestion and not a sale), they ignored me. I was, after all, a young girl who did not know a thing about anything. So, despite my protestations, I made those cold calls, annoyed a lot of people and wasted incredible amounts of time. Why was this useless? First, phones are no longer used for receiving calls. If you call, you’ll be ignored because people don’t pick up inbound calls, especially if they don’t recognize your name. Second, your voice-message is a waste of breath and time. This is because we’ve seen a massive drop in how often we check our voicemail. That may be your experience, but people answer the phone when I call! Great. You’ve probably annoyed. them And they’ll then associate their irritation with you, your company and your product or service. Apply the Golden Rule here – would you want to be the receiver of a call that throws you off? 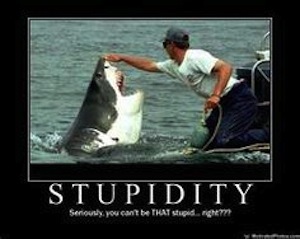 Probably not! Because: a) we’re hardwired to like predictability and a random call scares us and makes us wary of the caller; b) it interrupts our Facebook-kitty video-watching time and we all HATE being interrupted during these moments; and c) we prefer finding out about services via our trusted friends – i.e. Google, social media, celebrity twitter endorsements and YouTube videos. In sum: if they want you, they’ll find you. If you call out the blue, they’ll put you on the blacklist. And, of those meetings, less than 20% will buy your product or service. Calling 6,264 people will get you 4 sales. Have fun. Fine, Negative Nelly, so do we make it work? While you cannot avoid making a call for the rest of your life, you can, at least, reduce the angry hang ups and the anxiousness you get every time you start dialling. Everyone you call must have a connection or knowledge of your company. Ask yourself, has that person or company shown interest in your services? For example, have they signed up for your newsletter or commented on a blog you or your company wrote? Did you meet at a tradeshow? Did someone refer them to you? If any of the above is true, it’s no longer a cold call. Ask yourself, is your product or service relevant to them? Why? What problems do they have? Don’t know what their problems are? Perfect! Send your prospect a short email asking for a call to learn about some of their pain points. I’ve done this and it’s worked like a charm. Be sure, however, that you DO NOT sell during this call. This is just one way to move quickly from cold to warm (if you want some draft emails, let me know and I’ll send you a few). It’s critical to know everything about a company – this helps you determine if you have the right product for them and if you’re wasting your and their time. Knowing details about the company by scouring the news will not only impress the decision maker, but also show that you’re an expert in your field and, therefore, should be trusted. Guess what? People make up companies and it’s people who make the decisions. So, get to know the person before you call. The purpose is not to be stalkerish or to have a conversation about their cats. But, rather, to understand how these people are likely to make decisions. Do they have a strong accounting or legal background? Or are they more creative? People’s education and position will dictate how they’ll evaluate your service – if they’re from the “avoid risk” mindset (read: lawyer, accountant), show that you can reduce their risk with your service. If they’re someone with an HR or sales background, show them how you can make the customer experience more pleasant. Essentially, understanding the person you’re calling will help you figure out how you can make them look good by saying yes to your product or service. After all, that’s what it’s all about! “How about this, why don’t I shoot you a short email with a bit about what I want to talk about, this way you can evaluate whether not it makes sense to talk? We’re both busy and I hate wasting anyone’s time”. Get the info and follow up within 30 minutes or they’ll forget you. The bad part about cold calling is that it’s not about you. This means you have to do a lot of prep and talk about them (remember, it’s not about you), while cleverly slipping in how you provide the right solution. What about the good part about cold calling? It’s not about you. What I mean is that people are so wrapped up in their own lives, problems and insecurities that they won’t even remember the call in a week. So, if there’s a mistake in the call or if you happened to screw up and stumble and bumble, it doesn’t really matter. Your screw-up is eclipsed by what people are typically thinking about: how they can make a buck, spend a buck or watch more kitty videos. 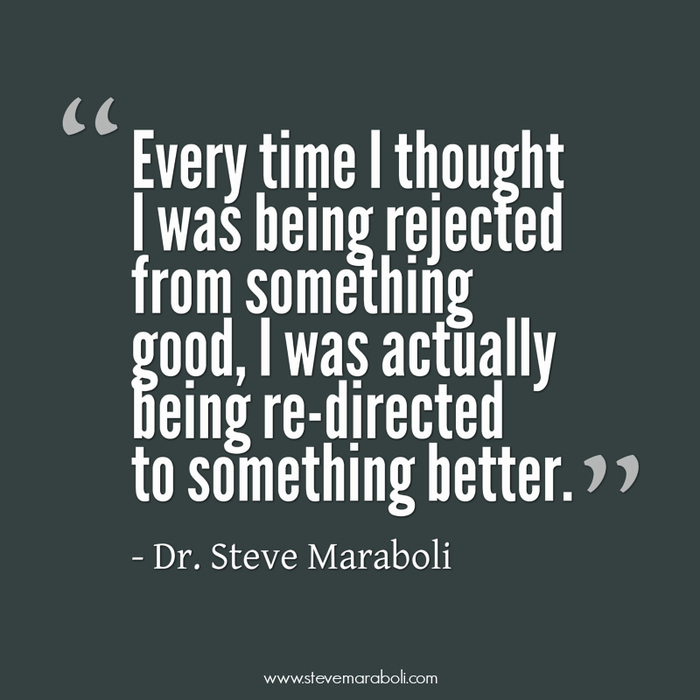 Another rejection tip: remind yourself of all of the amazing sales calls, interactions and wins you’ve had. Focus on the fact that you’ve done good things in the past and that you’ll do them again. Finally, we’ve all been rejected. Even the famous, beautiful, smart and successful. The lesson is this: the path to success is paved with “nos”. Have fun.